How to say thank you in a meaningful and beautiful way? This bouquet will do just that for you! 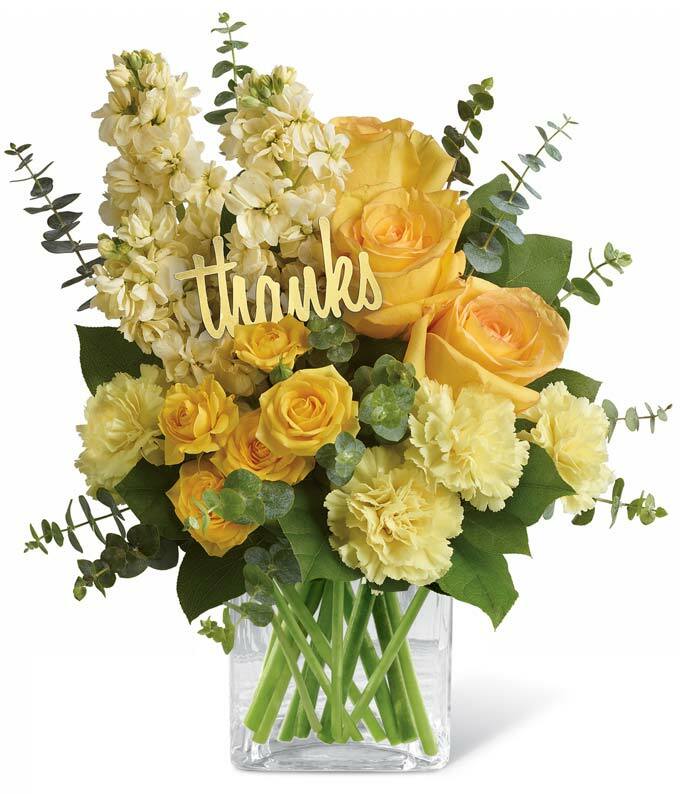 Wow your loved one with this classy arrangement of yellow blooms to show how much you appreciate them. Hand-delivered in a clear cube vase by a local florist.